Nestled in the heart of Cheltenham is a family medical clinic with a difference – Bayside Family Medical. Formerly known as Cheltenham Park Medical Centre, our history of providing quality medical services to Cheltenham and surrounds stems back to 1983. In 2015, our expanding clinic required that we move from our previous home on Charman Road to our current site on the beach side of the Nepean Highway. At Bayside Family Medical, we offer specialised skin cancer check-ups and travel medicine advice, in addition to comprehensive GP services. We also have Melbourne Pathology conveniently located on site. Whether you’re a young family looking for a reputable Cheltenham GP, or a retiree who wants the satisfaction of knowing they are getting the best medical care in Cheltenham, look no further! Our warm, welcoming medical centre is designed with our patients’ comfort and convenience in mind. The reception area features a television and plenty of reading materials to help you pass the time while you wait to be called. If you are a mum, we have a cosy little nook around the corner where you can breastfeed your baby or read to your child. At Bayside Family Medical, we like to treat our patients like family, which is why our staff go above and beyond to make you feel welcome. Our reception team endeavours to offer the highest level of customer service, be it attending to your health concerns or assisting our mobility-impaired patients to our spacious treatment room. Water is also available in the reception area for your convenience. The clinic features six consulting rooms, as well as treatment rooms where our doctors perform minor surgical procedures. Our main entrance is on Nepean Highway while the Melbourne Pathology entrance is off Charman Road. We are conveniently close to public transport (Cheltenham Station and bus stops), plus there is plenty of parking available. If you need to fill a prescription, there are four pharmacies located within one kilometre of our Cheltenham medical clinic. 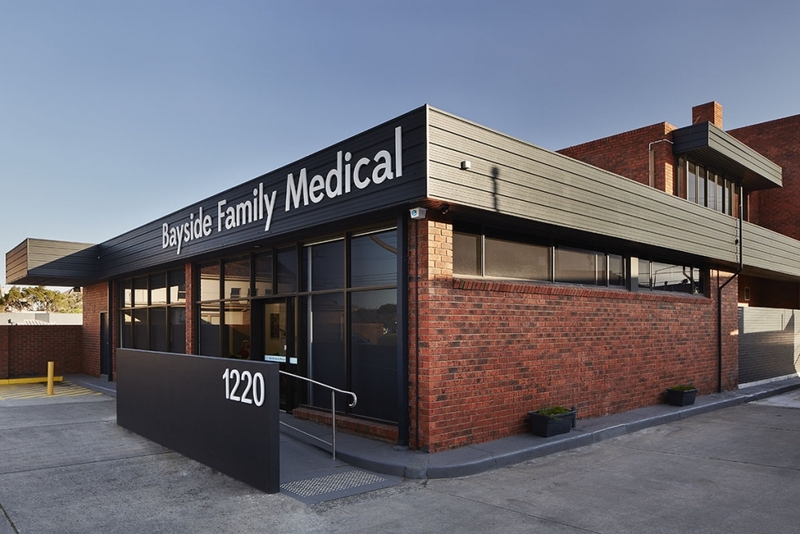 Bayside Family Medical is an APGAL-accredited General Practice, which means we provide the highest standard of medical care and service. Every three years, our Cheltenham medical clinic is independently assessed against the governing industry standards set by the Royal Australian College of General Practitioners (RACGP). If you think we could improve our service, please leave a message in our reception suggestion box. We always welcome feedback! Patients receive timely care and advice appropriate to their individual needs. Patients can communicate their health concerns and through their doctors, gain information to make informed decisions about their healthcare. Patient medical records and information remain confidential. We focus on health promotion and disease prevention, not just disease treatment. We improve our patient health outcomes by working with other health professionals and services to improve our patient health outcomes.